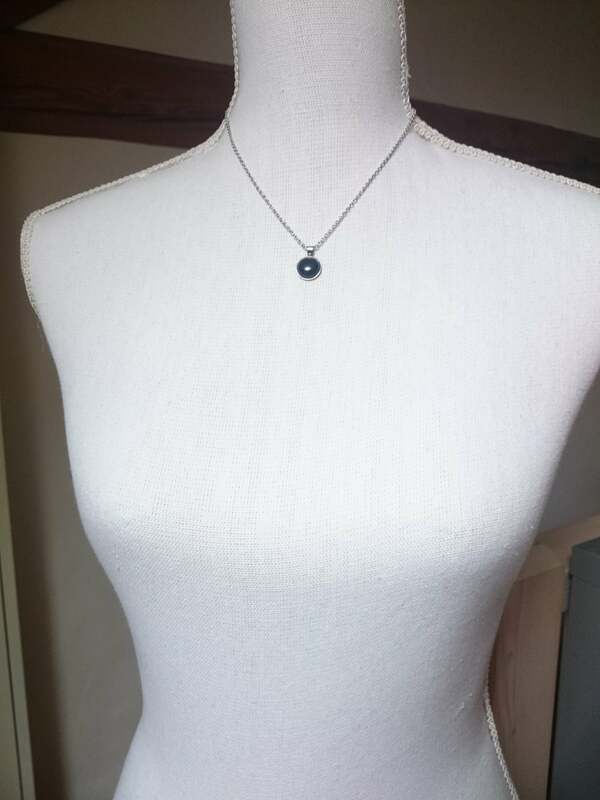 Gemstone and silver steel necklace minimal hypoallergenic 12 mm cabochon blue lapis lazuli carnelian rose quartz turquoise black onyx. 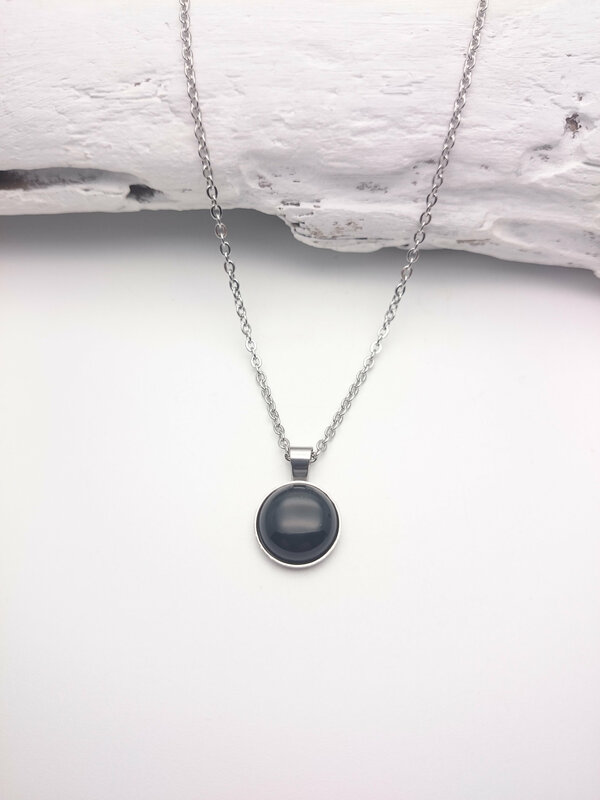 Necklace I made with a natural gemstone, semi precious gemstone 12 mm cabochon and silver stainless steel bezel and chain. 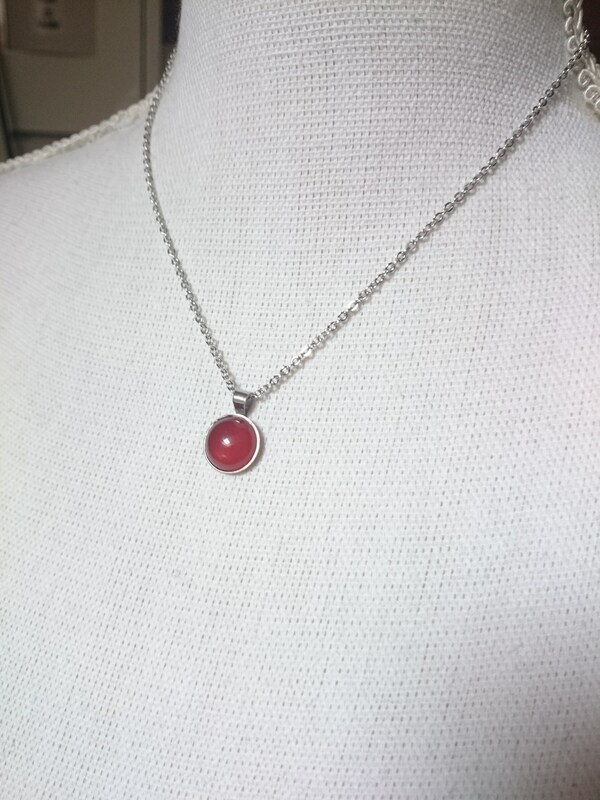 Chain length : you can choose 16, 18, 20, 22 or 24 inches. 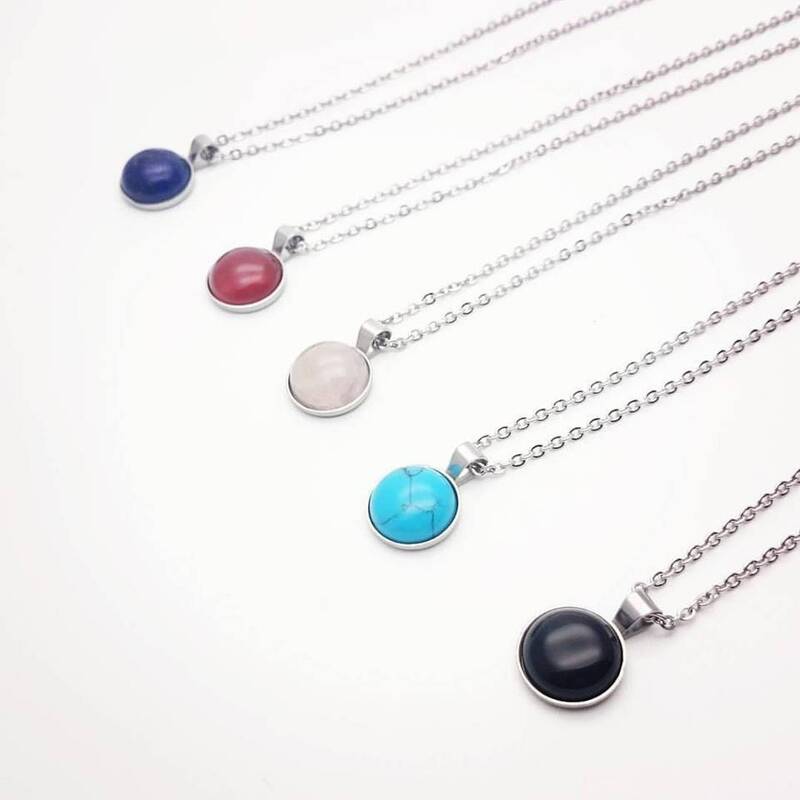 Gemstone to choose : blue lapis lazuli, brown-orange carnelian, pink rose quartz, turquoise, black onyx. 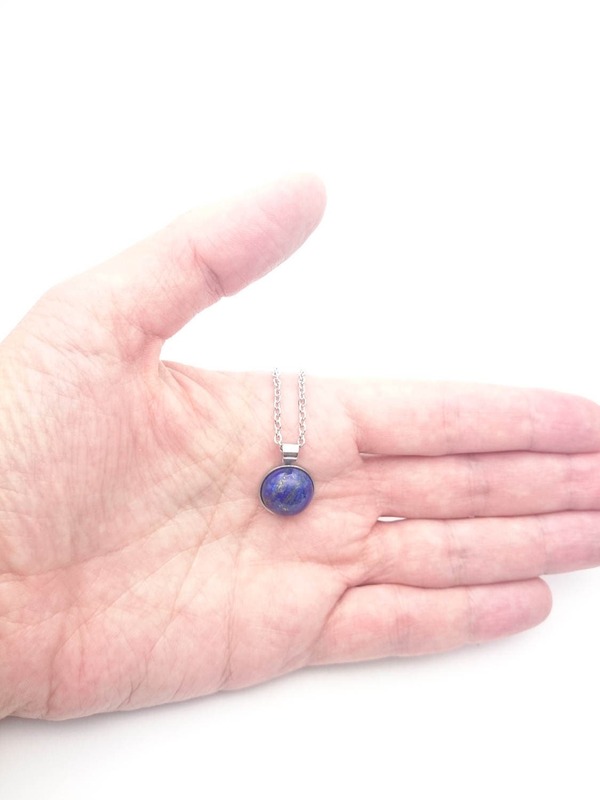 Size of the cabochon : 12 mm diameter. 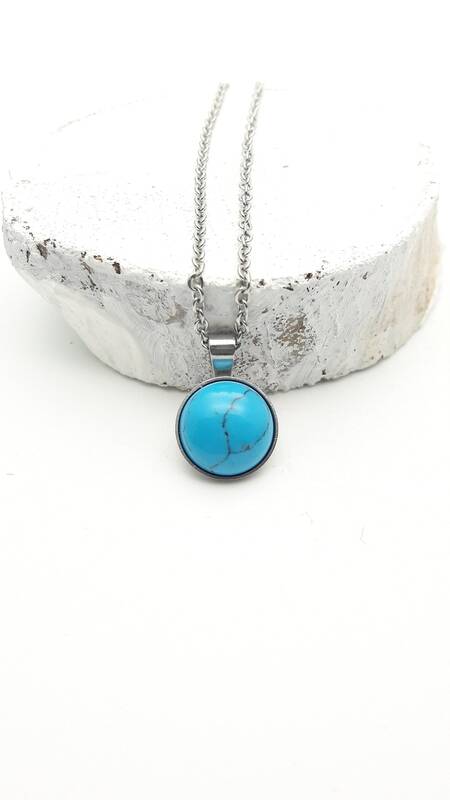 As they are natural stones, you will receive a necklace with a stone similar to the pictures but not the same. 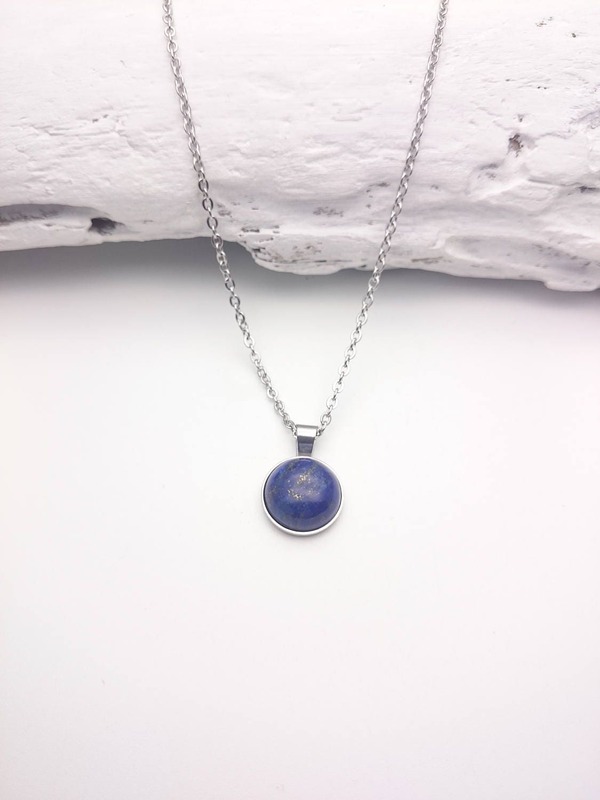 - Lapis lazuli is a stone of hope and courage. 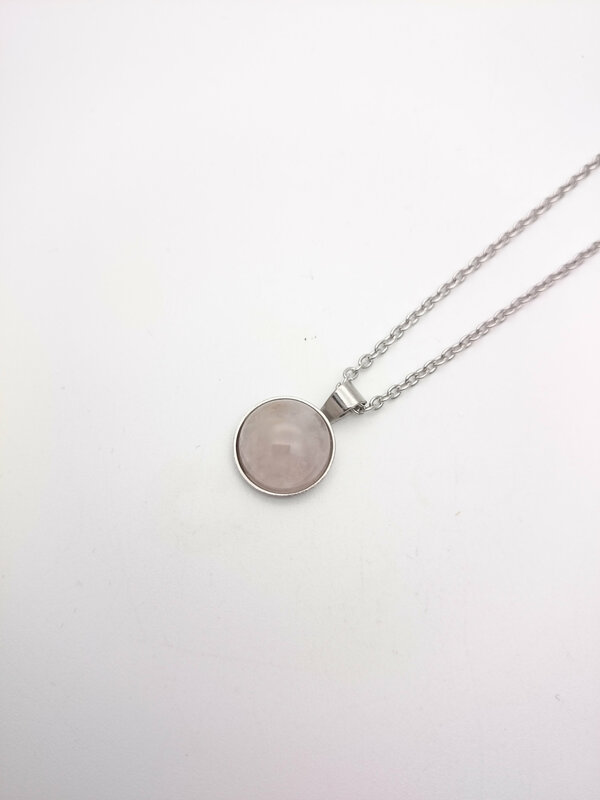 - Rose quartz is the stone of universal love. 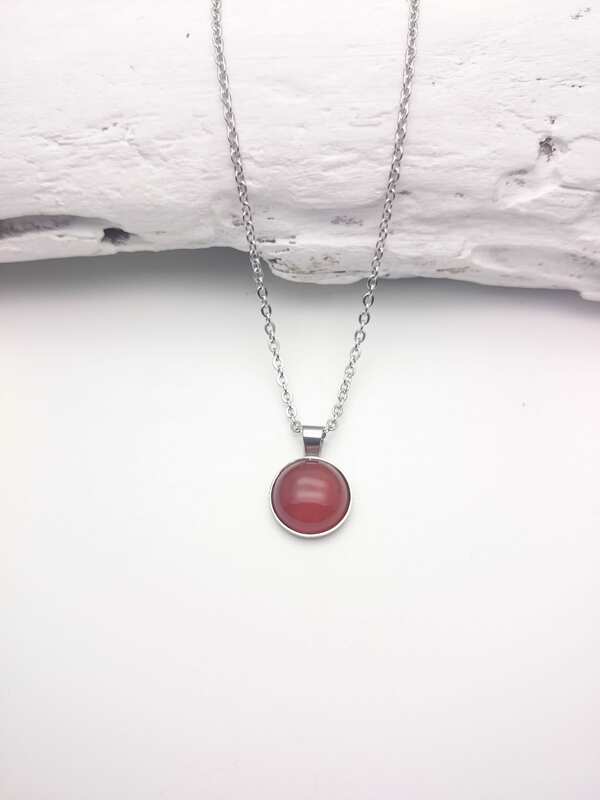 - Carnelian is a joyful and revitalizing stone. 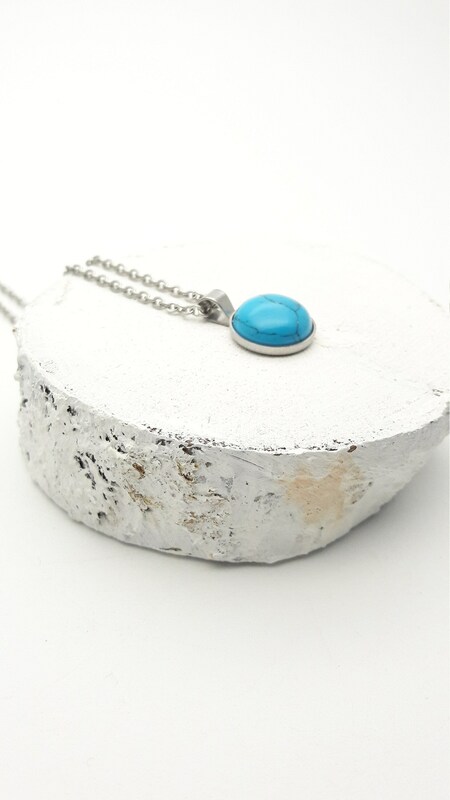 - Turquoise is one of the oldest protection amulets. Shipping : this item is shipped from Switzerland via Prioritary Mail and will be shipped within 3 days after your purchase.